It is a paradigm that allow on-demand network access to shared computing resources. A model for managing, storing and process data online via the internet. Out of those three different models that are described in the graphic, we are going to stick with the first one of them, Saas or Software As A Service. It is the application of computer resources on-demand. It means that the customers get what they asked for, sounds obvious, but many times the providers give more services than they were asked for. And that can cost money, time and resources to the business. However even though being one of the buzzwords this year, it is not still implemented in many of the business. And I should say that it has a lot of benefits but cons as well. • Being a platform in the clouds, it is easily accessible and universally from any platform. The only requirement is that you have to be registered by the server and to have full access to the data inside. • Related with that first benefit, being upthere gives you the benefit of access it from any platform which translates in working from anywhere. Your only requirements is a laptop with Internet access. • Clear idea of the costs. Much more accurate budgeting, savings on human capital, physical space, electricity, and support. • Saas is a great tool for data analytics, besides the fact that many people can work in only one folder at the same time, it allows collection of metadata and metering. That can become an excellent weapon for the customer insights. • If not well controlled and with the proper architecture that allows to be flexible and scalable, the system can give you problems of portability and browser. • And the main tricky fact, if you do not have access to internet, there is no service. • Time-spent, since each consumer/client has to make sure that the company providing that service (vendor) has the controls and systems that you require. One of the main inconvenience with this companies is that they relay a lot on the internet servers, a drop on the servers being used, speed of it, or even a simple electricity problem will dictate your overall performance. 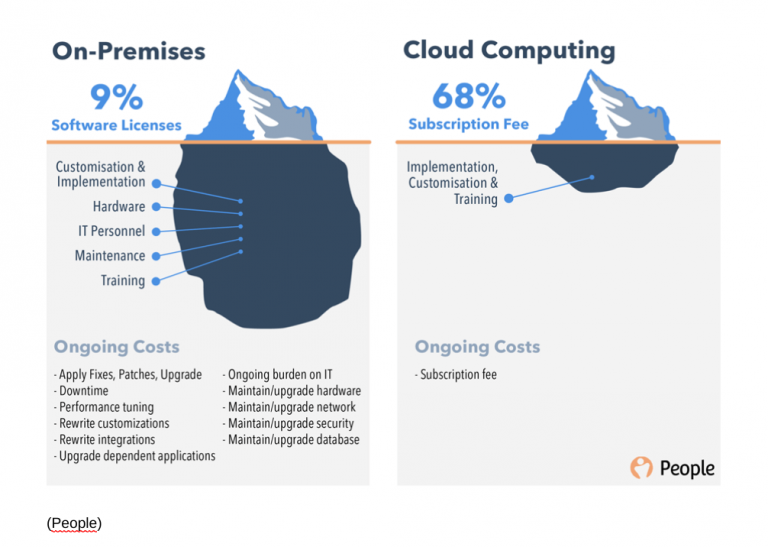 As you can observe in this graphic from People, the main costs of Saas are the subscriptions and the access to the cloud. There a little amount of money invested afterwards in the training of your teamforce to be able to understand how it runs and customise it. However keeps being wide few investment compared with all the stack of different cost that you will receive when creating your own IT and Digital site. This is probably the most known Saas service, however most of the people do not actually know that the name of what Google is providing is (besides Google Cloud) Software as a service. It is a mix of cloud services that works the same way that Googles´structure internally. It provides to its end-users data storage, data analytics and machine learning. This is a platform that allows business to manage their relationship with the clients in terms of Sales, Services, Marketing and Data Analytics. 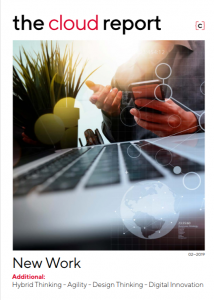 Salesforce credits its tools for boosting customer sales an average of 37 percent as well as driving increased client loyalty and satisfaction. Amazon has expanded their services beyond the e-commerce marketplace to transit towards on-demand cloud based resources. Currently encompasses more than 70 services in all, including computing, storage, networking, database, analytics, deployment, management and tools for the Internet of Things. With this platform, you are able to share thousand of files around many people and all of your devices. Once you have stored all your documents and structured them, you just have to invite your teammates and give them access to the files.